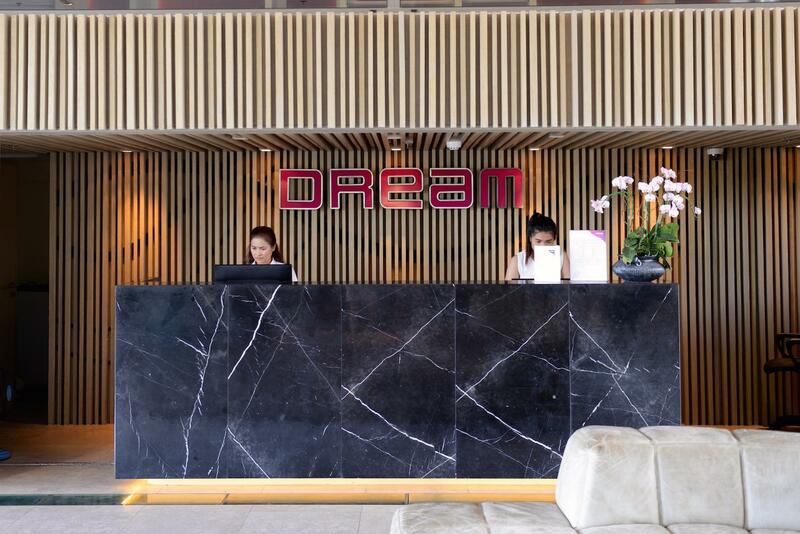 Dream Phuket Hotel & Spa was the first destination on our trip to Thailand and Cambodia and is also the place that I was most excited about! I was really looking forward to simply spend two days there, relaxing. Even though, I am not the type of person that would go to a big resort and just chill all day, the Dream Hotel completely blew me away! 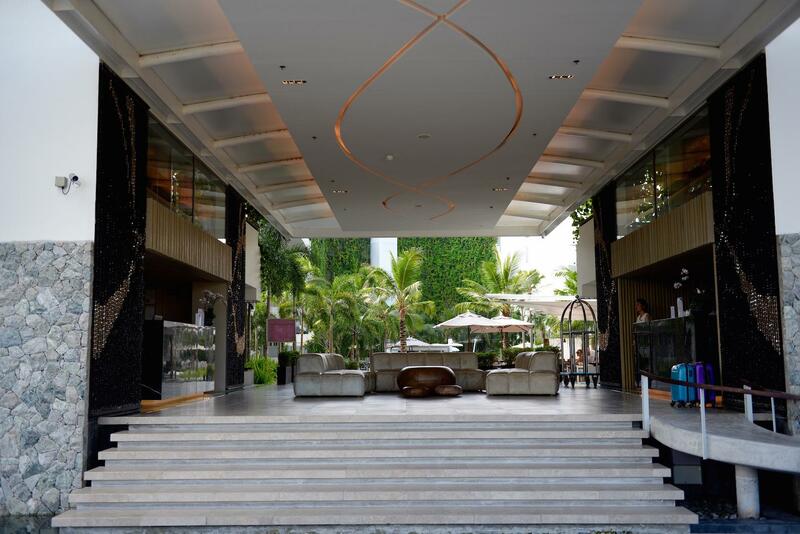 The 5 star luxury hotel is designed for young affluent travellers that enjoy their holidays in style! It has won three design awards and incorporates eco features, like cool green walls! It is a perfect place to relax in a unique environment. 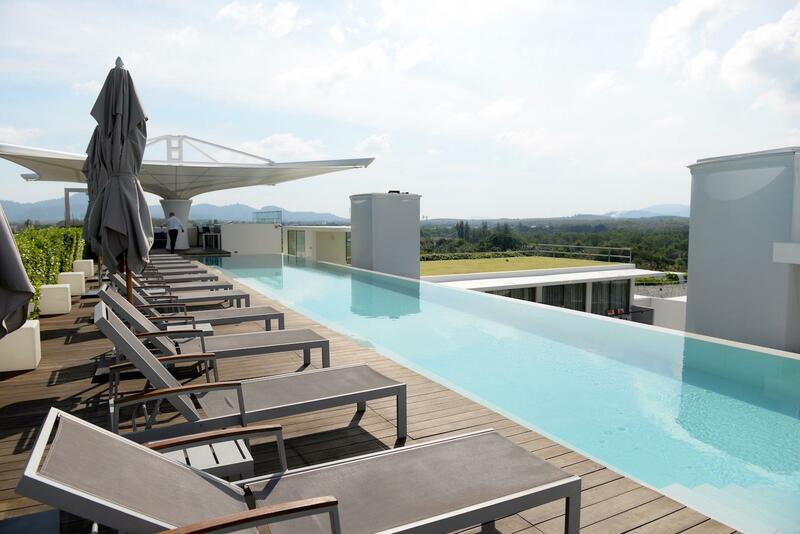 The hotel is located 20 minutes away from Phuket International Airport on the western side of Phuket Island. 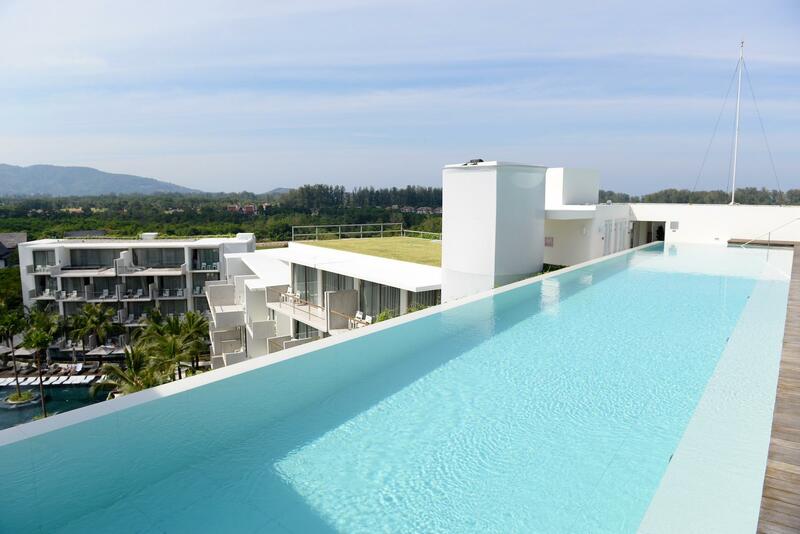 In a quiet environment, it is tucked away from the crowded, touristy parts of Phuket, but that’s all right because here you will find everything you might need. 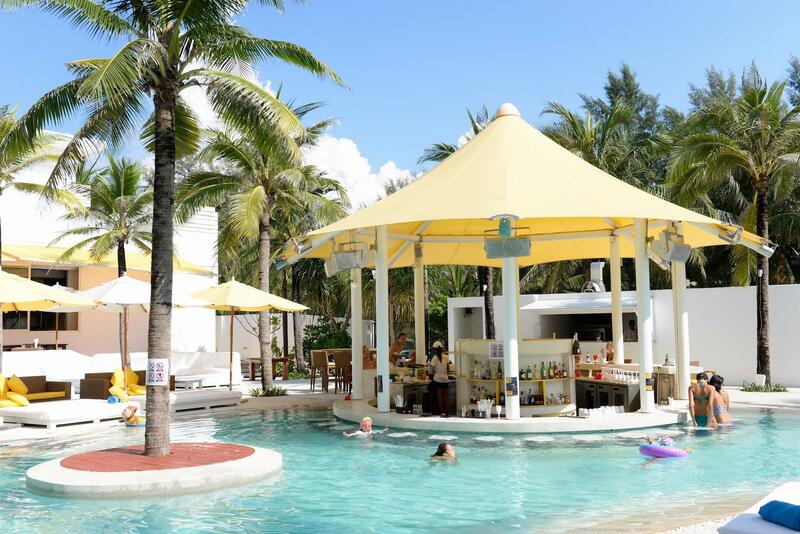 Amazing restaurant, two pools (one of them being rooftop pool), three bars, spa, fitness, and as if that’s not enough there is also a beach club! 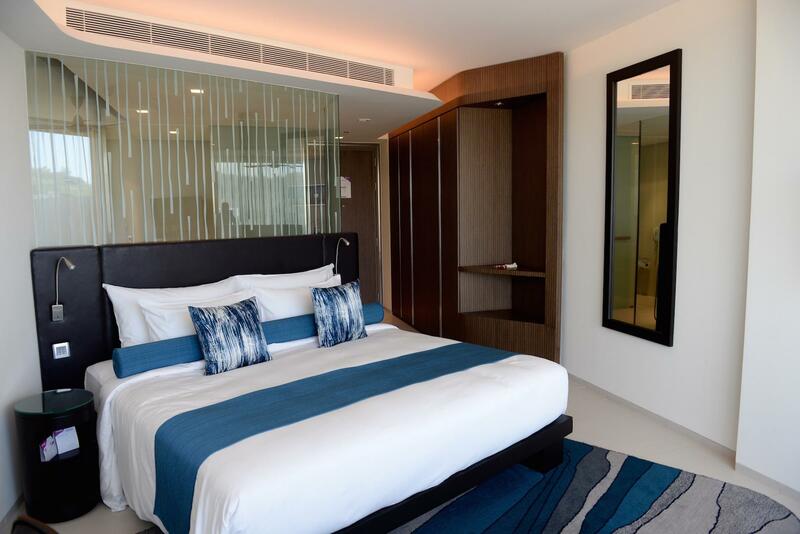 If you do however, wish to go out of the hotel they offer complimentary shuttle service to Patong, Phuket town and every Friday also to Boat Avenue. 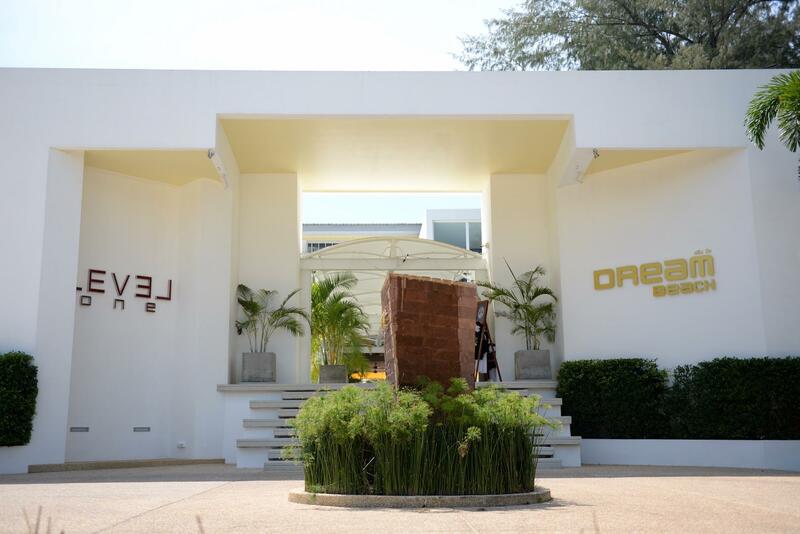 Hourly rides (daily) are provided to Dream Beach Club which is located 5 minutes drive away on Dream Beach. 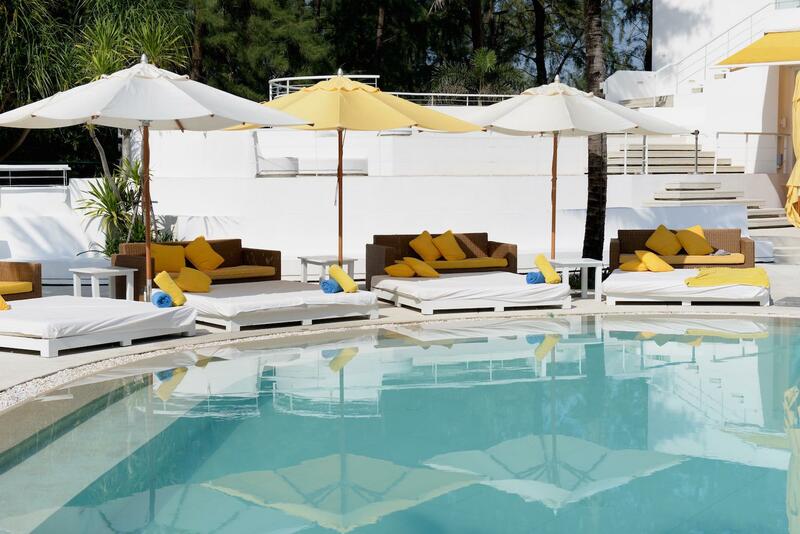 All together hotel offers 174 rooms, suites and villas. 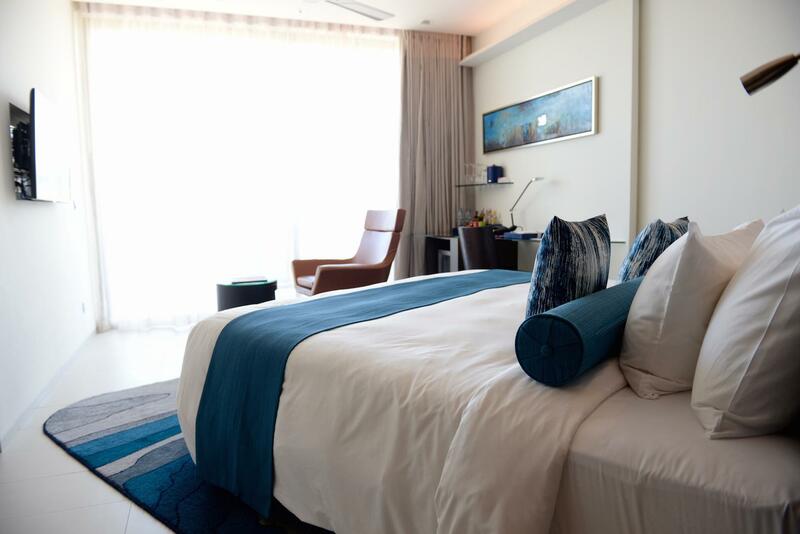 We stayed in Deluxe King room which is a clean, modern accommodation with contemporary furniture and private balcony. 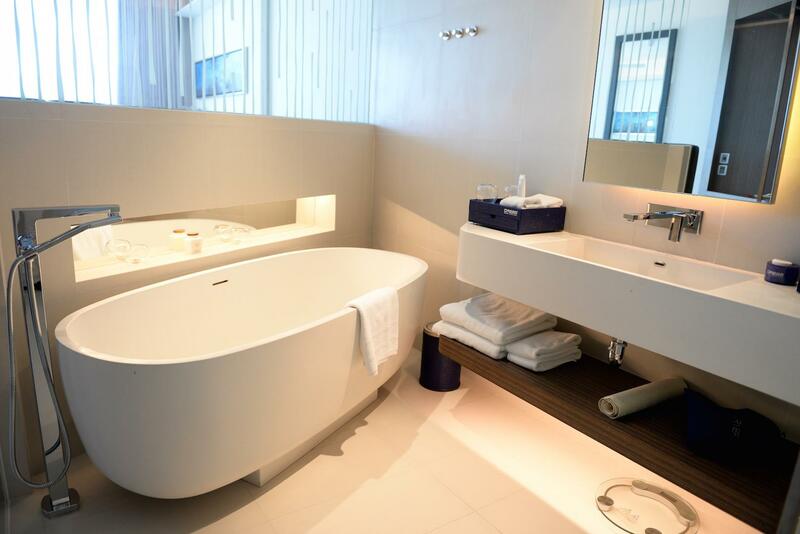 The open bathroom has a free standing bathtub and separate rain shower, together with all the amenities you might need, such as hair dryer, bathrobe, and Elle Spa cosmetics. 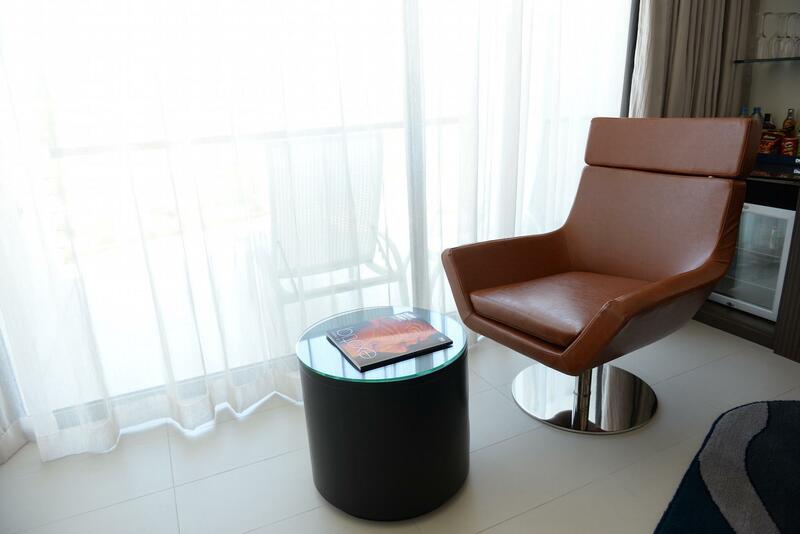 The room is spacious and has everything an affluent traveller needs – complimentary (and super fast!) wifi, working desk and chair, minibar, coffee machine, flat screen TV, slippers, etc. 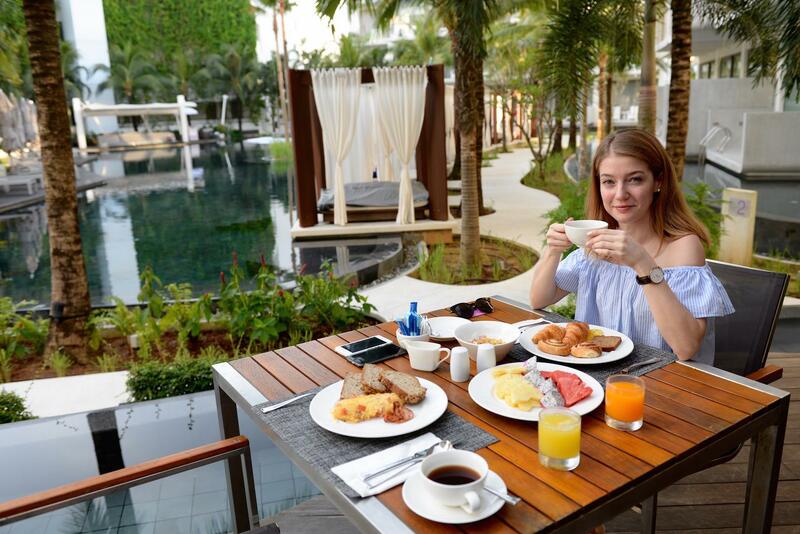 If you are, however, looking for even more luxurious stay then you can opt for different suites and villas, where almost all of them include also their own private pool. If you ask me the main pool is the best feature of the whole hotel. 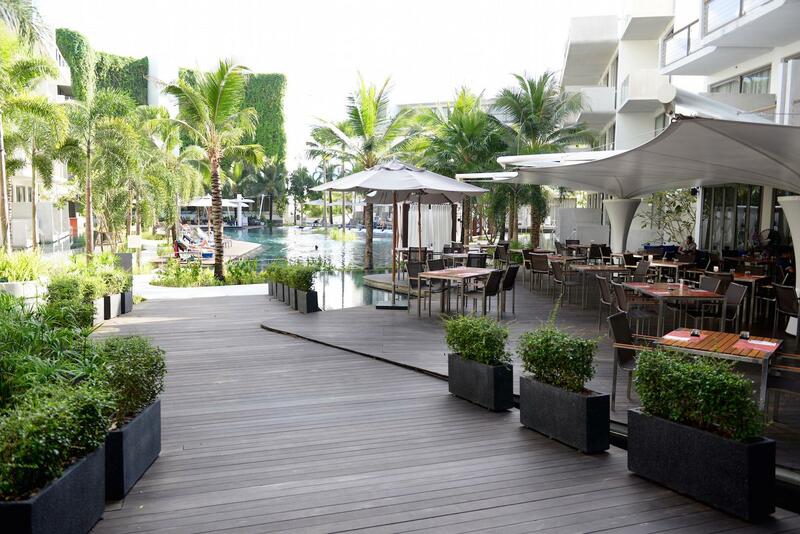 It is surrounded by lush greenery (hello palm trees! ), private cabanas and lounge chairs. Chill music is playing in the background and it makes it a perfect place to read a book, or just relax. 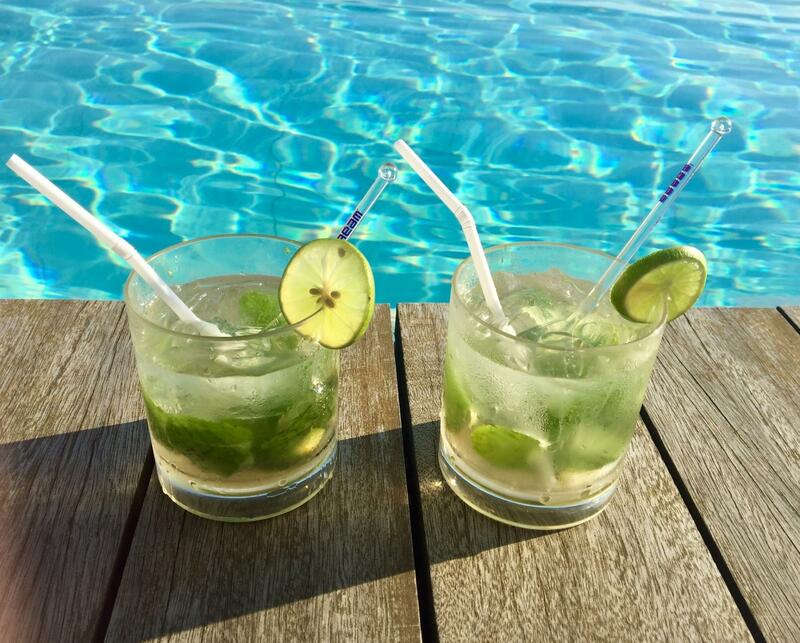 If you’re feeling thirsty just jump into the pool, swim up to the bar and treat yourself to some refreshing cocktails. 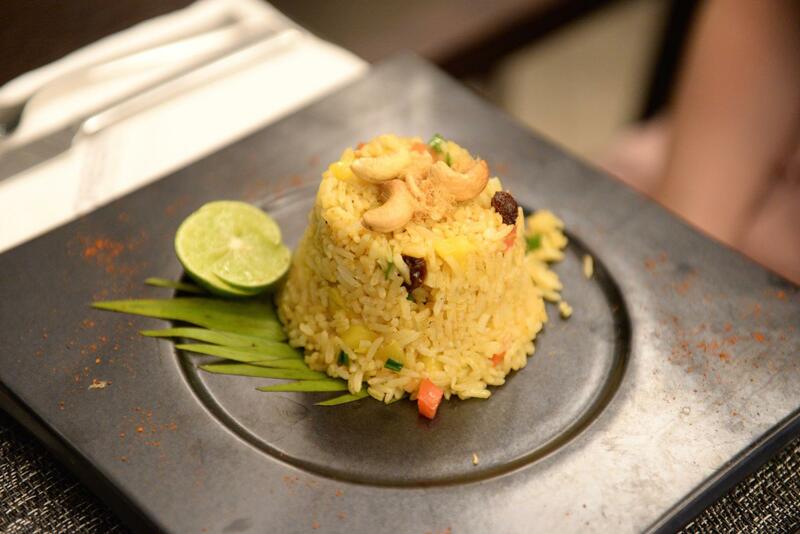 The signature restaurant Trilogy offers indoors or outdoors dinning and mixes influences from Europe and modern Asian food. 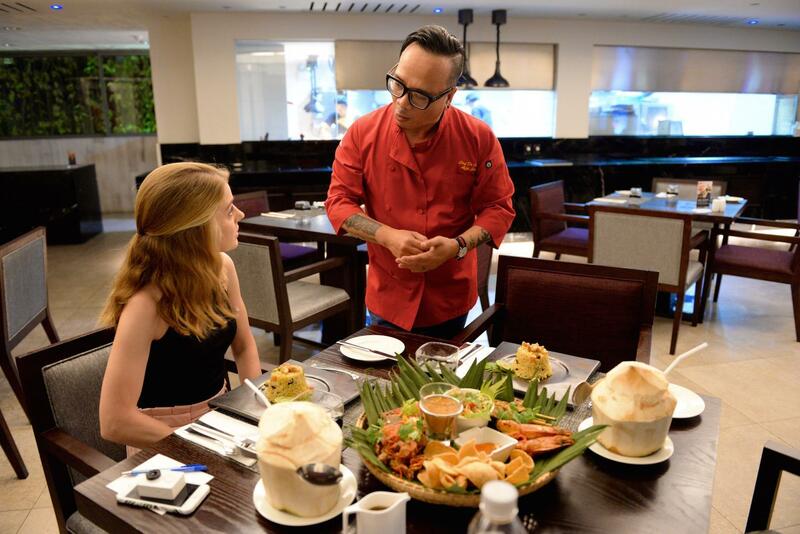 Executive Chef Alfie, who specializes in Southeast Asian cuisine prepared especially for us the most amazing Thai food served in traditional wooden basket. 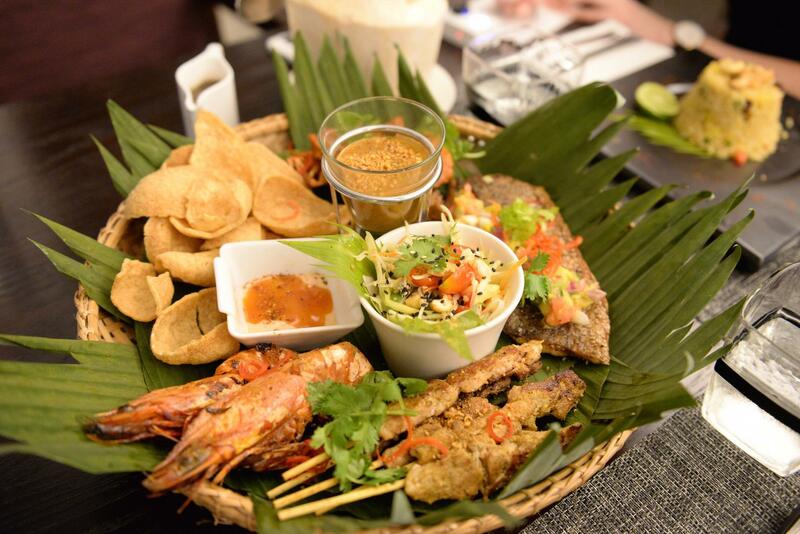 We tried delicacies like pineapple fried rice, grilled prawns, soft shell crab, grilled snapper seasoned with mango, satay with peanut butter sauce… Yum! 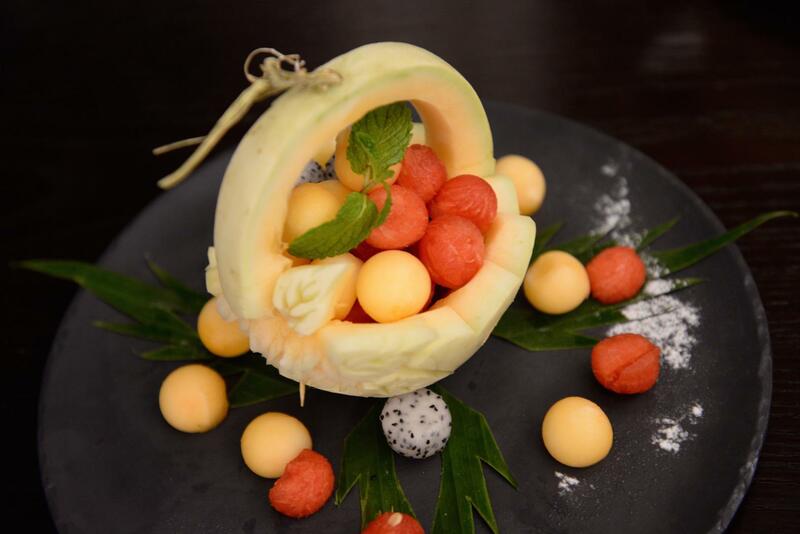 And for the dessert fruit carved basket. 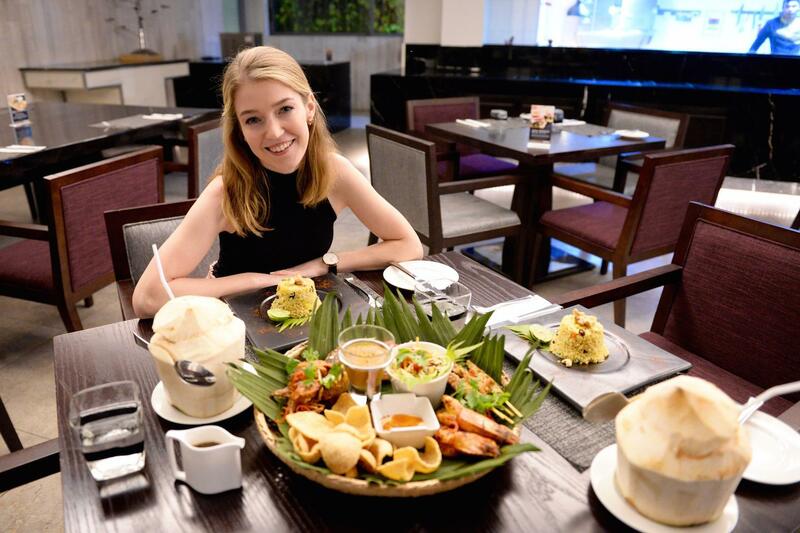 The dinner was definitely the highlight of our stay. 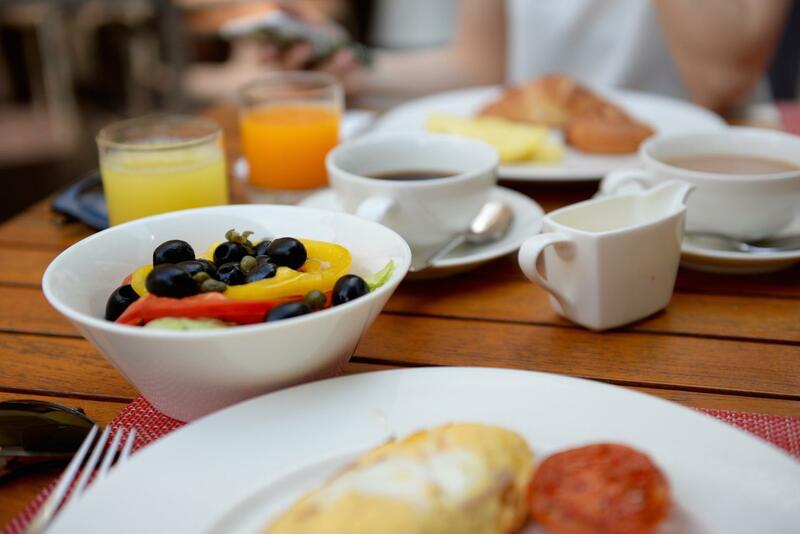 As for the breakfast, it is included in the room rate and offers everything, from freshly baked croissants and pastries, banana bread, fresh fruit and vegetables, to the omelettes, cereals, basically anything you might want.. Oh, and did I mention they have a noodle soup station. So cool! 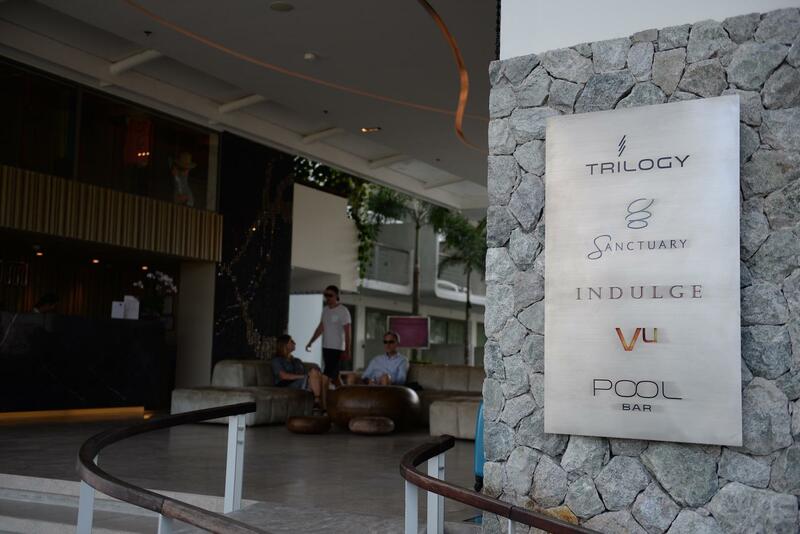 My favourite things at the whole hotel was definitely the Vu rooftop bar with infinity pool overlooking the whole property. It is so peaceful up there and the views are amazing! 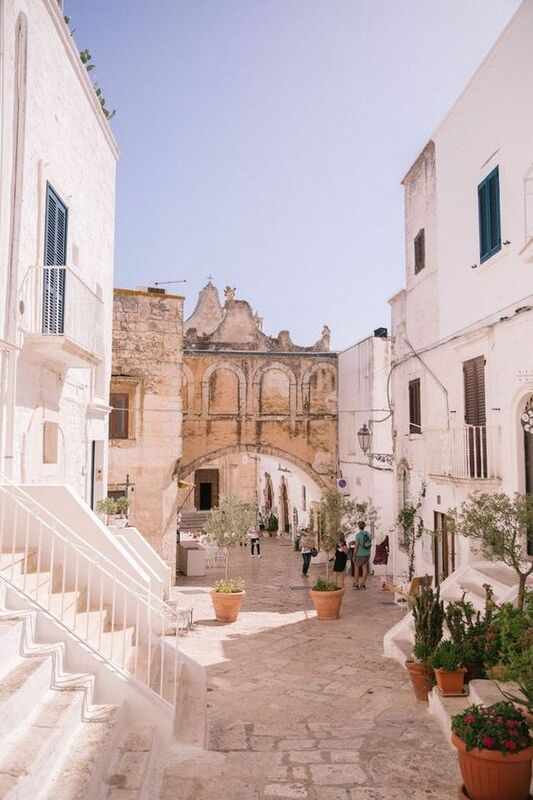 I especially enjoyed spending time there early in the morning or the late afternoon sipping cocktails and admiring the sunset. Pure magic! 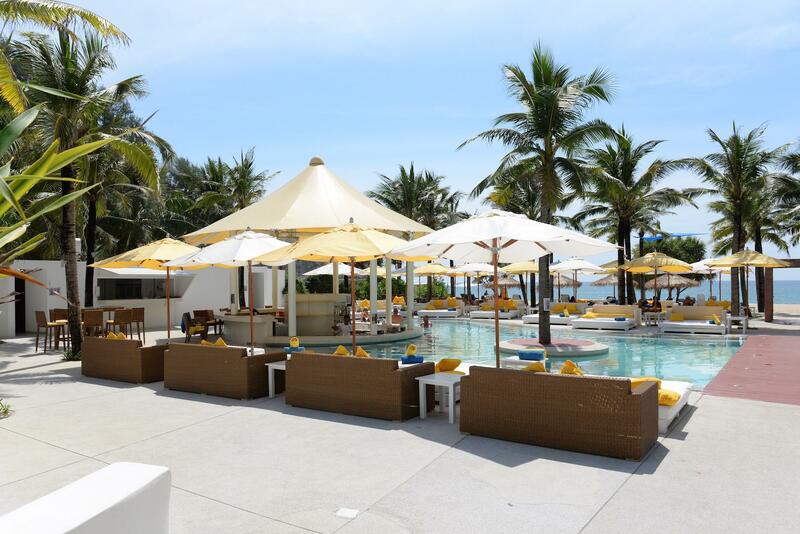 Located on the beautiful Layan beach the Dream beach club is a place where you can relax and have fun at the same time. 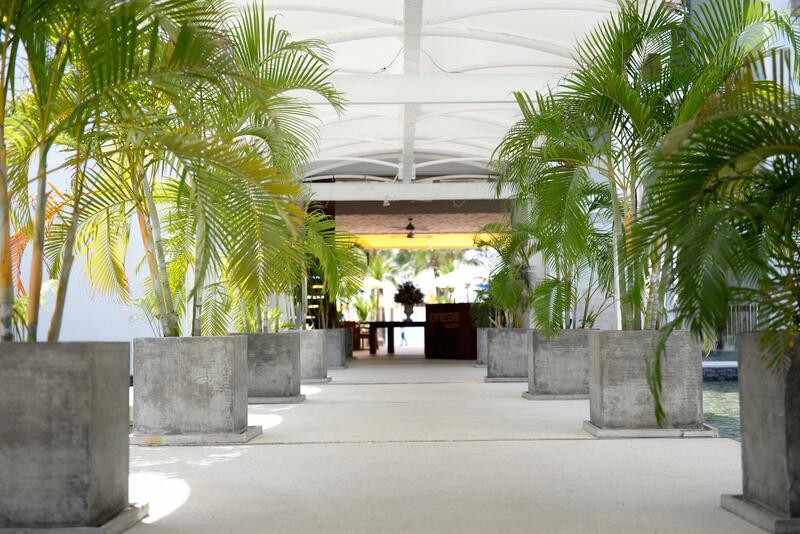 It has a prime location with direct access to the perfect white sand beach. 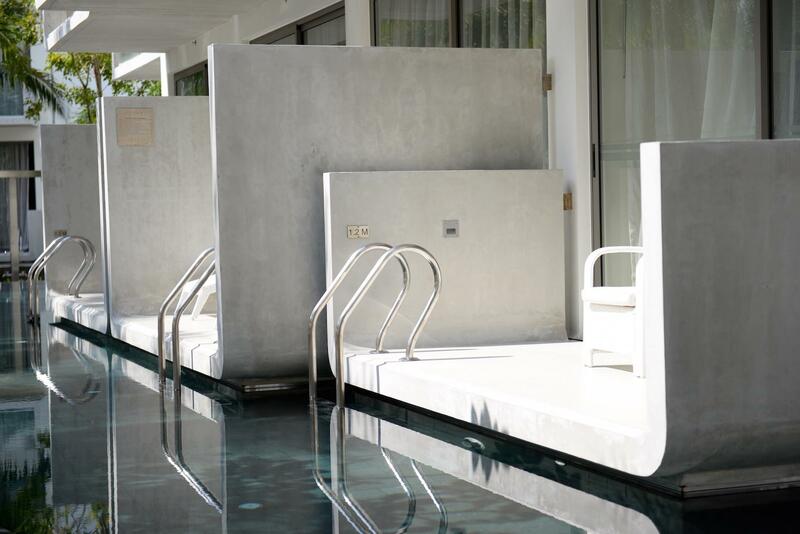 There are also two swimming pools, a restaurant and four bars. 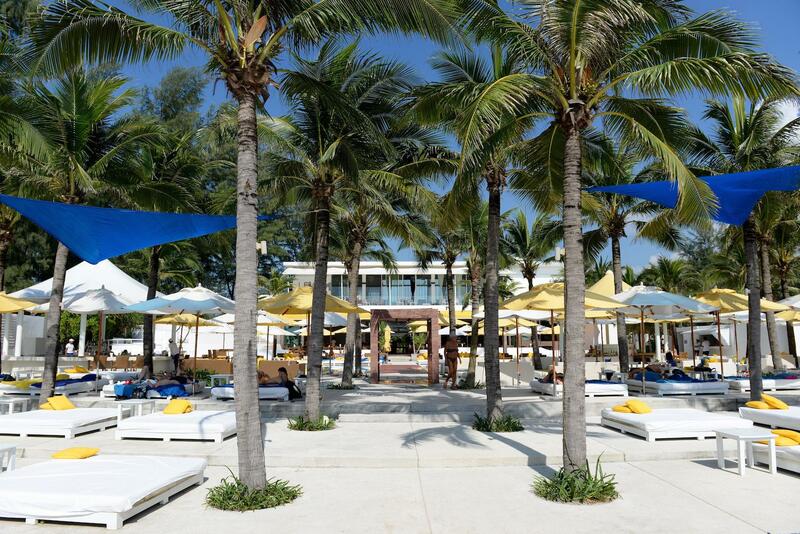 Shuttle service is running from hotel to the beach club all day long, so make sure to take advantage of that. While we did love the beach club and the beach itself which is gorgeous, we preferred chilling in the hotel by the pool. 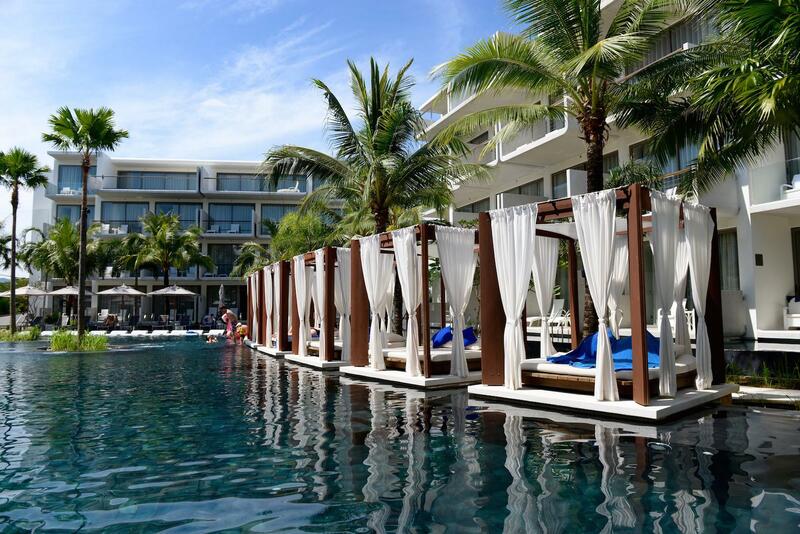 The Dream Phuket Hotel & Spa is the perfect oasis for a getaway in the sun! 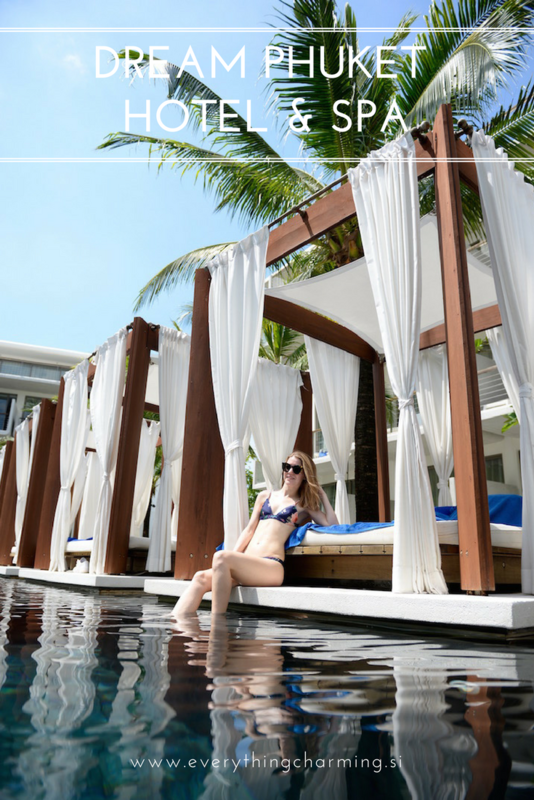 To conclude, Dream Phuket Hotel & Spa is simply a place to be. 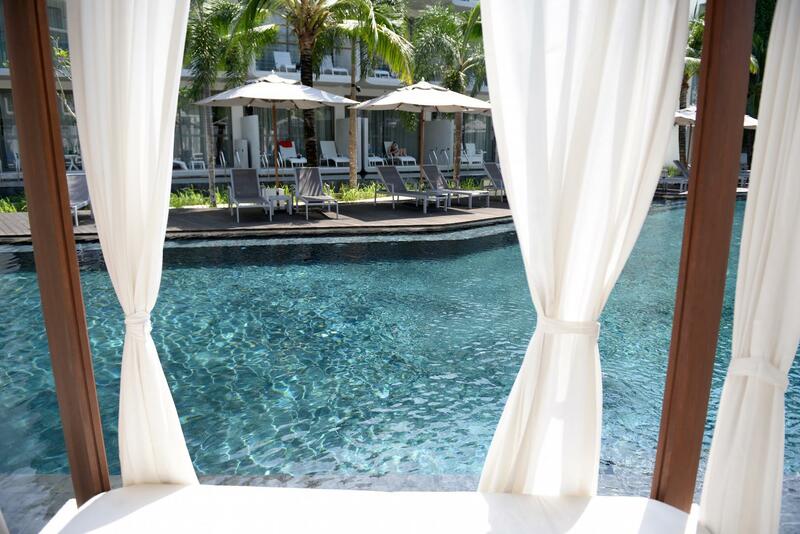 It’s the perfect oasis for a short holiday in the sun. 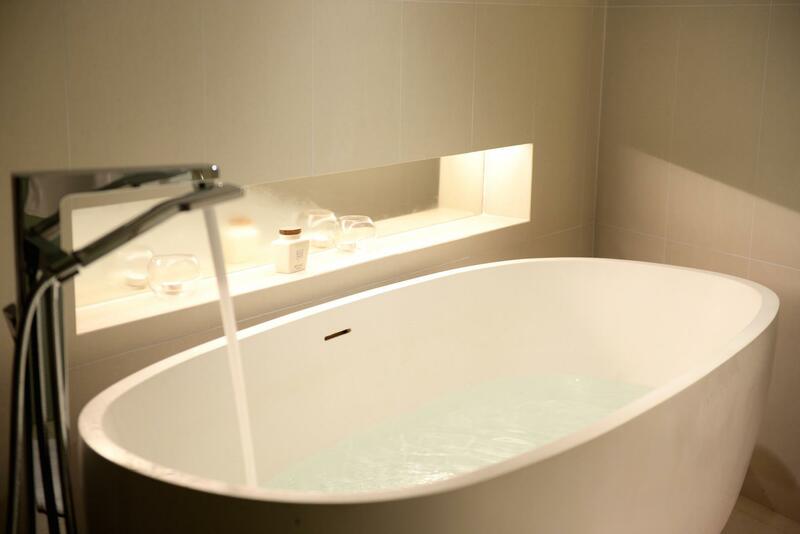 Ideal for young couples looking to unwind in a trendy environment. There’s so much you can do. If you feel like pampering treat yourself to the massage in the Sanctuary spa. Then there’s also fitness. 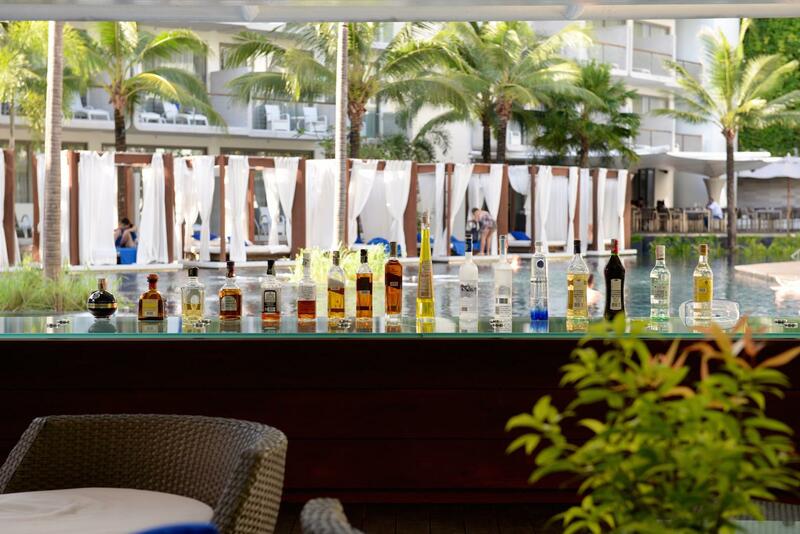 What is more, there are three bars to choose from, two pools and, of course, the Dream Beach Club. And even though the hotel has 174 rooms it did not feel crowded, like there’s too many people. Sometimes we even had the whole pool for ourselves and there were always some empty cabanas which we could use. The staff were really friendly and nice, always taking care of all our needs. 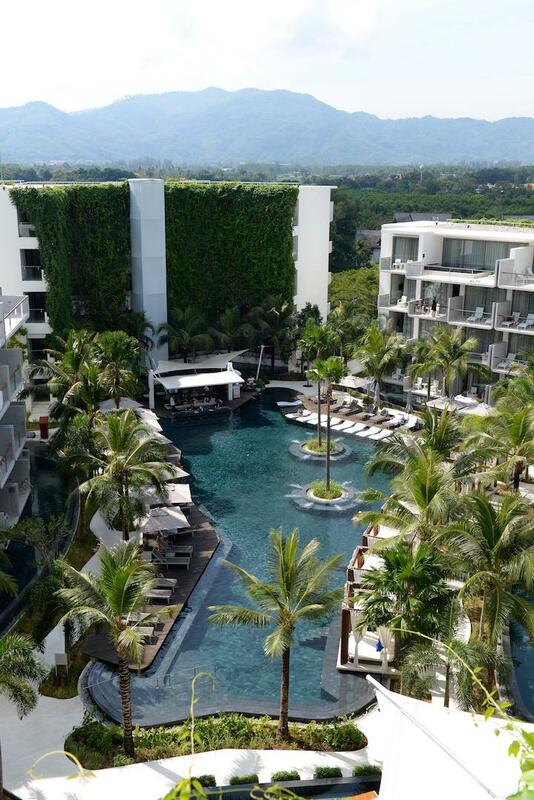 All I can say is our stay at Dream Phuket Hotel & Spa felt like a dream! For more details, rates and reservations see their website here. 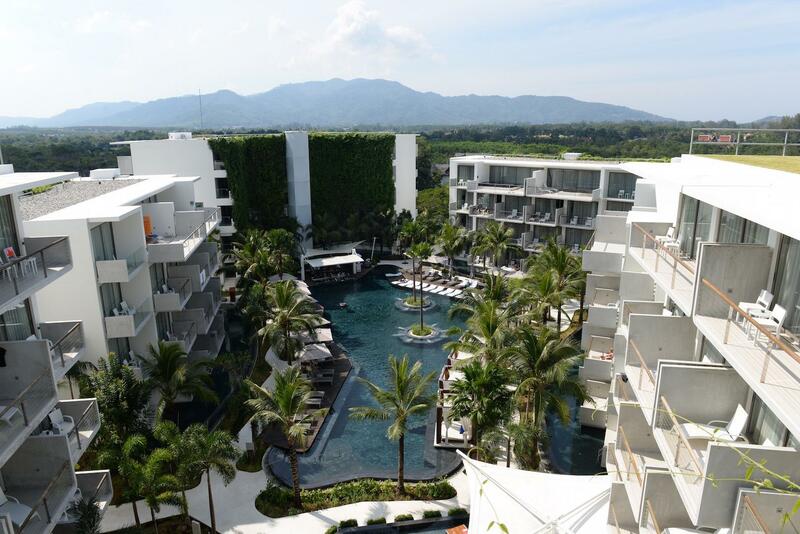 Disclosure: Many thanks to Dream Phuket Hotel & Spa for hosting us for two nights on complimentary basis.